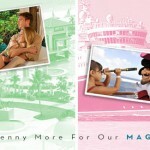 Have you already booked a Disney vacation, Sandals vacation or cruise but would like to take advantage of our Magical services? We would be happy to help! Transferring your reservation to our agency is a very simple process. NOTHING changes to your reservation at all! Once we obtain the transfer, we can then view your reservation details and make sure you are booked with the best rate possible. Many times we can save you money! Please take a moment to fill out the form below and one of our vacation specialists will be in touch with you within 24 hours. Are there any changes that you would like to make to your reservation? I confirm that this reservation is not currently held by any other travel agency. It was booked directly with the vendor. By checking this box, I give consent to transfer my reservation to Travel Source One.